Valentine’s Day is a holiday of love and those who are in love. It is a day to spend with your love and get more intimate moments with her/him. So. 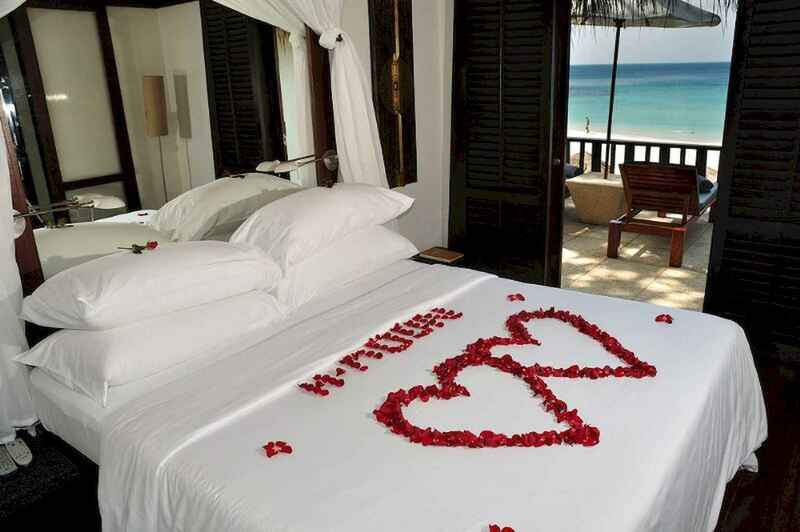 let’s prepare the home for unforgettable romantic moments with your love. Except you will surprise her/him with a Valentine’s present and Valentine’s card, let’s decorate your bedroom in a valentine’s spirit. It will make the atmosphere more romantic and intimate. Romantic Valentine’s Day bedroom decorations are easy to make. There are some stuffs which are symbols of Valentine’s day, such as flowers, rose’s leafs, heart balloons or any other decoration in a shape of heart. And of course, you can make the night more romantic with a bottle of champagne just for two of you. Woow, it sounds so romantic to me! !